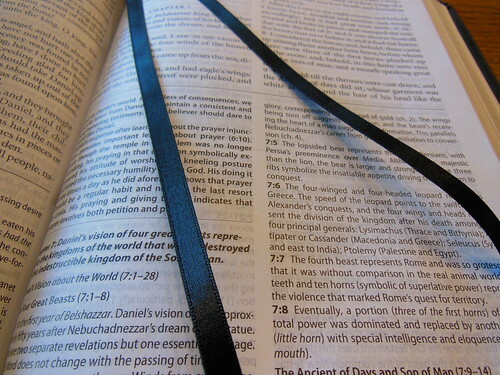 Review of the, “The Reformation Heritage KJV Study Bible in Genuine Leather. I requested a review copy quite some time ago, and was refused. 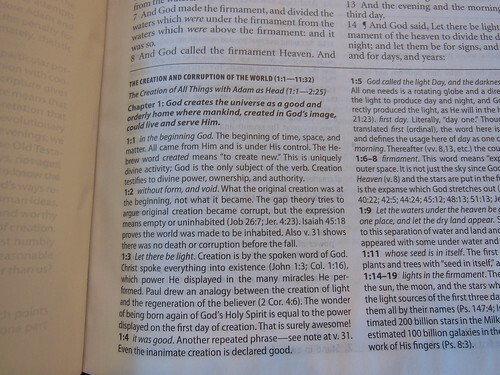 This is why it has taken a while for me to do a review of this Bible. Recently I purchased a copy, at my own expense for the purpose of review. I was curious about this Bible because of the title. I am a Reformed Baptist. I hold to reformed soteriology. Since I affirm believer’s baptism, or credal baptism, I cannot be said to have Reformed theology proper, as that would include infant baptism, or paedo-baptism along with some other theological distinctions. 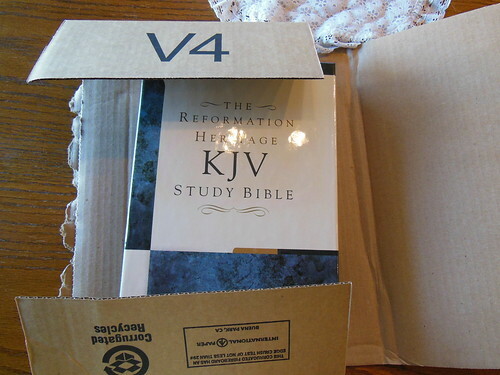 This Bible came shipped by Amazon in a cardboard box with no padding. One of the corners of the retail clamshell box was dented. The Bible inside was undamaged. 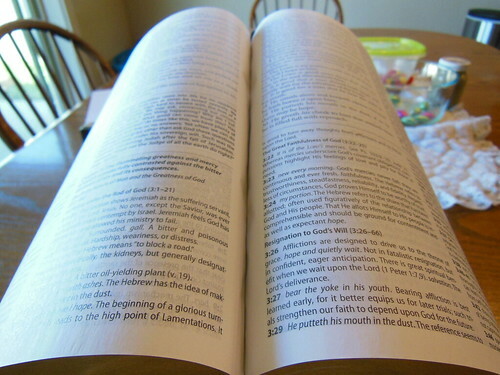 When I first examined the Bible I didn’t notice that some of the pages were folded under and failed to be trimmed with the text block. I had to trim them myself with an exacto knife. 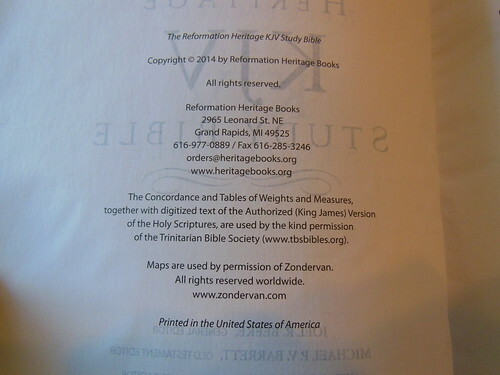 I contacted Reformation Heritage by e-mail. It has been several weeks without a response. 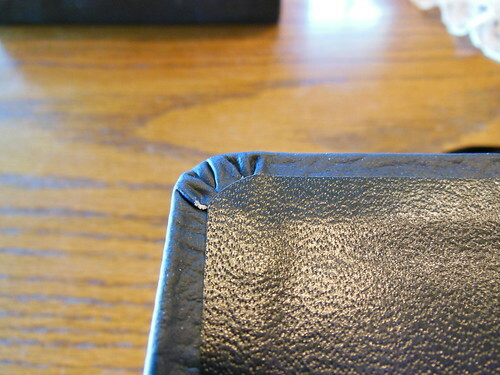 I was waiting to do the review because part of my e-mail had to do with questions about this Bible’s manufacture. 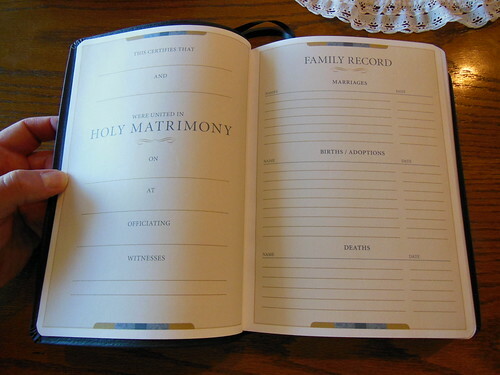 I wouldn’t let their failure to respond stop you from purchasing this Bible. 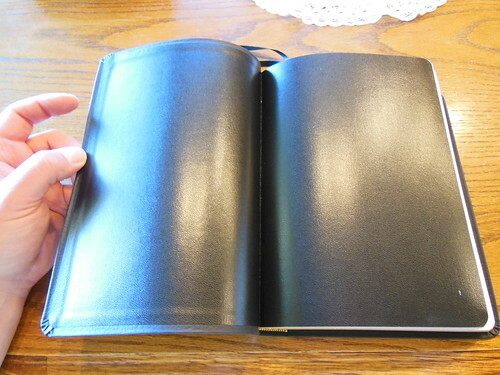 This edition has a genuine cowhide leather cover and not pigskin leather. 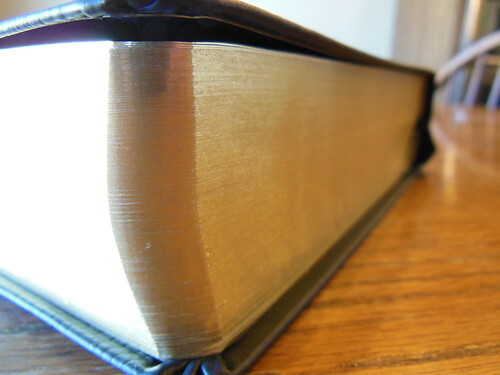 On the front cover, “Holy Bible” is hot stamped in gold color foil. The texture of the leather seems to be natural and comfortable to hold. 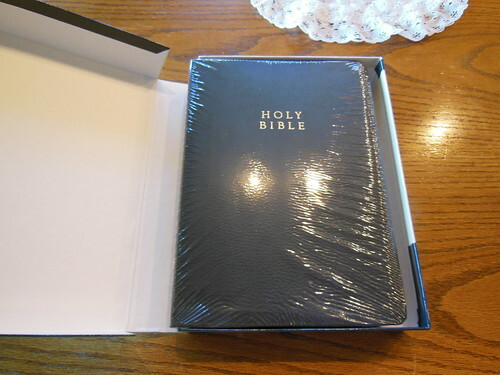 this is a case bound Bible. 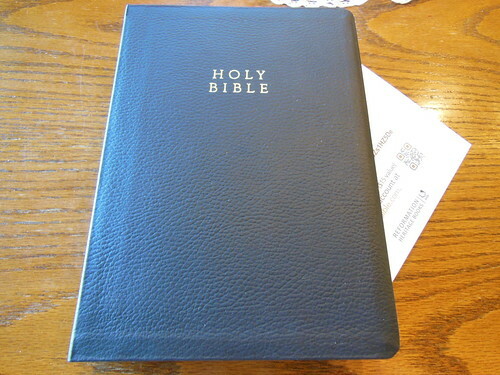 It is not as high grade as some, but far exceeds many lesser quality covers on Bibles in the same price range. 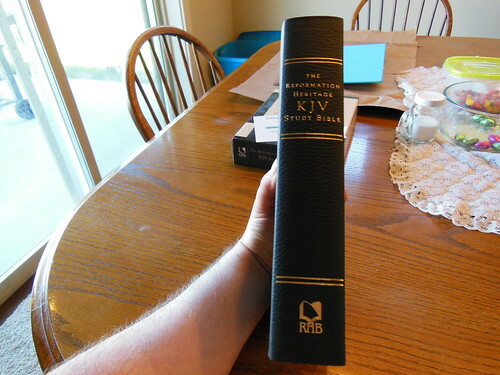 This Bible lists for about $80.00, but I purchased it on sale for $55.88 from Amazon. You would be hard pressed to find a study Bible with all of the features this Bible has for the same price. We are talking about an American printed and bound Bible with smyth-sewn spine, cowhide leather cover, unique study notes, creeds and confessions, notes on family application, and numerous articles in back along with a concise concordance and maps. 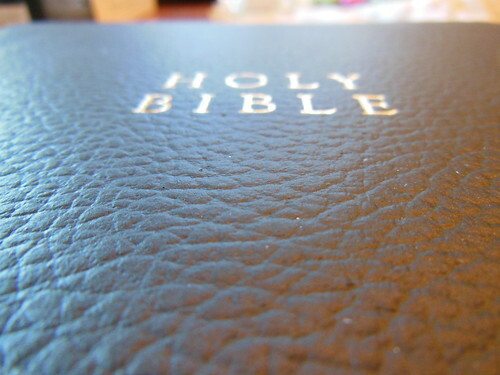 This Bible is only available in the King James Version. 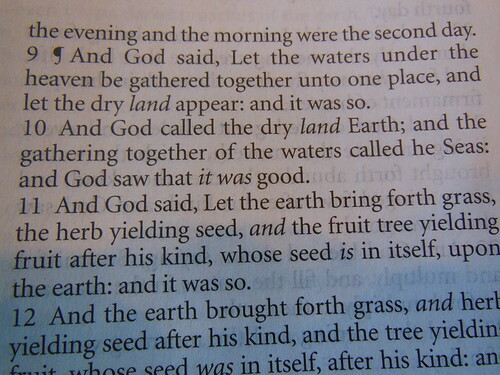 (KJV) It is a verse format, double column, layout with notes at the bottom of the page. Before each book is an introduction and outline of the book. A sharply printed and uniformly inked 9.8 pt. Minion Font is used for the text of the Bible, and 8 pt. Myriad SemiCondensed Font for the notes is employed. The page margins are pretty small, so you won’t be making many notations in them. The page edges are gold gilt. The corners are rounded, the spine is not. 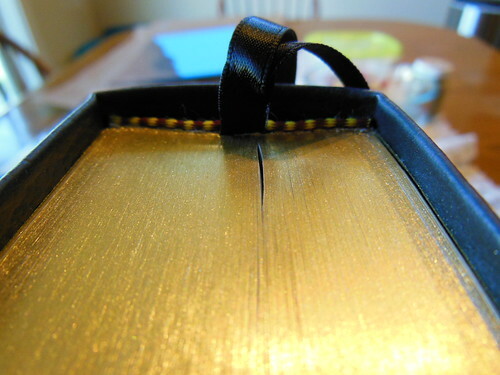 Since this Bible employs a sewn binding it lays flat without having to fight the binding or cover. It is pretty flexible. 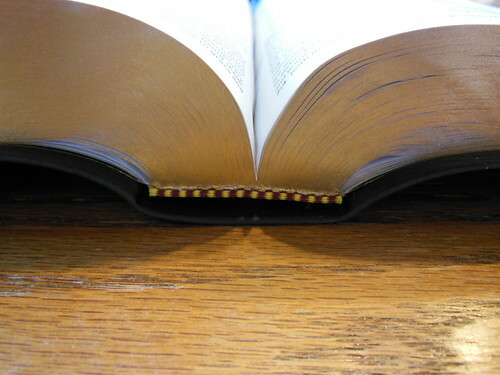 There are gold and burgundy head and tail bands as well as two narrow yet, substantial black ribbons. The ribbons are both fixed in the spine at the same place making them a bit awkward compared to others that are glued in differently. I truly like the paper used for the presentation/records section in the front and the maps in the back. RHB made the best decision of not using the glossy papers that crack. Instead they went with a thicker matte paper that will last a long time. 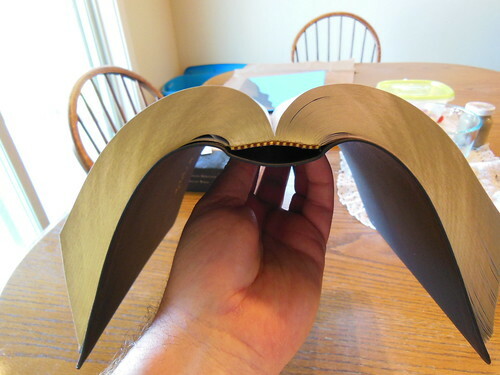 I would have liked to see a thicker, more opaque paper employed, however, to include all of the features in one volume without making it a behemoth like the ESV study Bible, I can understand why the chose the paper they did. Don’t misunderstand me, the paper isn’t bad. It is just a little less opaque than I would like. Ghosting isn’t bad at all and it appears that line matching was employed. 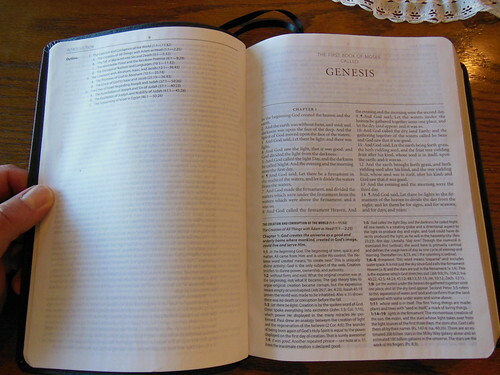 For the money, there aren’t many full study Bibles on the market that could compete with this one. 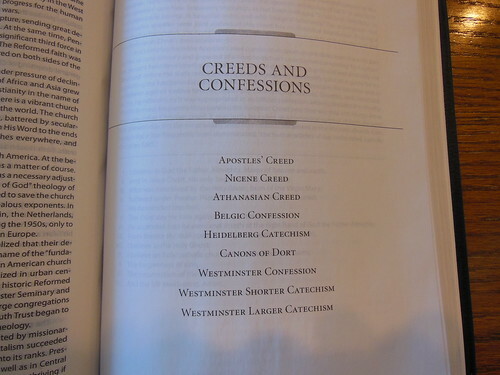 I highly recommend this Bible if you are a fan of the KJV, and historic creeds and confessions. It is an all around solid study Bible. Here is a link to the publisher’s page for this edition. Here is a link to this edition on Amazon. 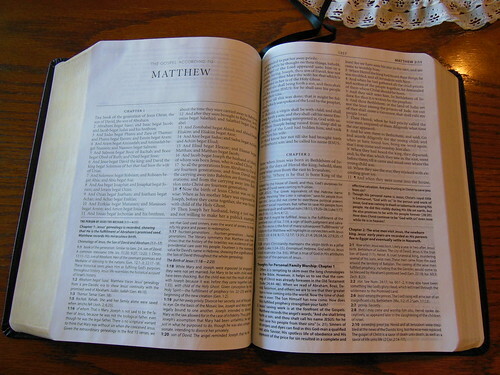 Finally, here is a link to this Bible on Christianbook. Don’t forget to visit my flickr album of all the pictures I took of this Bible. 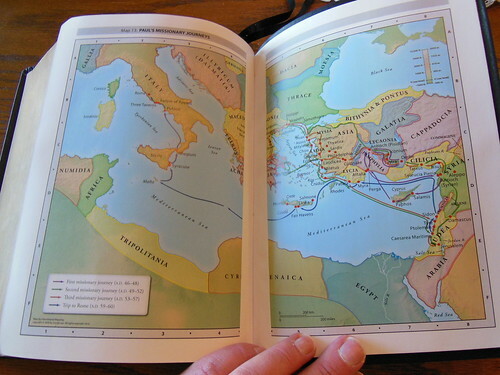 Review of the Chronological Study Bible in NKJV from Thomas Nelson. Earth Brown/Auburn Leathersoft.